Hawai‘i Island is too big (and too full of secrets) to grab a hiking stick and head into the wilderness on your own. If you want to get the full experience of this island’s wild-and-beautiful landscape, take a GUIDED, NATURE TOUR. HAWAII FOREST & TRAIL—an award-winning, eco-friendly tour company—offers innovative-and-informative nature adventures, and is known for designing hikes that combine exceptional tours with environmental integrity. Choose from a trek that culminates in a twilight view of erupting KILAUEA VOLCANO and its sizzling lava flow, or venture to POLOLU VALLEY. HF&T also offers a variety of other outdoor adventures, including hikes to HAWAI‘I VOLCANOES NATIONAL PARK, KILAUEA volcano, MAUNA KEA summit, several WATERFALLS and a CULINARY-AND-FARM TOUR. Birding-andwildlife treks are available too. 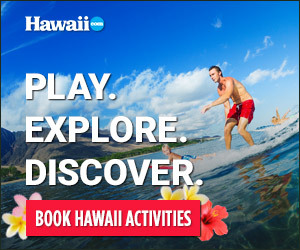 Another great way to explore Hawai‘i Island and its volcanoes is with the experts at KAPOHOKINE ADVENTURES. Boasting to be Big Island’s “ORIGINAL EVENING VOLCANO EXPLORER,” the outfitter offers unique tours available nowhere else, like its ZIPPIN’ VOLCANO tour. This guided, narrated tour combines a thrilling zipline experience with an evening visit to a volcano for a complete day of adventure. All of KapohoKine Adventures’ guides are certified National Park Rangers. Hiking Hawai‘i Volcanoes National Park is not your garden-variety wilderness trek. This is lava land, a national park that features a live volcano with all the daily uncertainties of nature unleashed. The 333,000-acre park, located on the slopes of MAUNA LOA, is a trekker’s paradise. Pick a trail through a lava field, around the smoldering Kilauea caldera, on the hot seacoast of Puna and Ka‘u, or at the 13,677-foot summit of Mauna Loa. The longest loop is CRATER RIM TRAIL, the grand tour of Hawaiian volcanism. The 11.6-mile trip takes a fairly level path past lava, cinders, steam vents, rifts, craters, tree molds, a lava tube and sweeping views of past devastation and struggling new life. Check with the park service for hiking information about active lava flows, as well as areas that may be closed due to dangerous conditions. Park rangers also can provide information about the more-challenging OVERNIGHT HIKES in the coastal region and Southwest and East Rift Zones. HAWAI‘I VOLCANOES NATIONAL PARK (808-985-6000), HAWAII DIVISION OF FORESTRY AND WILDLIFE (808-974-4221) and HAWAII DIVISION OF STATE PARKS (808-961-9540) all handle the administration of Hawai‘i Island’s many public access trails. Contact these agencies for permits, reservations and current information concerning hiking.